GMOs. They are a constant source of news these days. Research is inconclusive when it comes to genetically modified organism (GMOs). Are GMOs safe? Are GMOs a silent danger? It's unclear because they simply haven't been studied enough. There are passionate stances both for and against GMOs. But no one (yet) truly knows the long-term consequences of growing and eating genetically modified foods. As it stands now, most of the grocery and food industry claim that GMOs are perfectly safe, while many consumer groups, organic supporters and many eco-organizations say that GMOs pose an immense danger to human health and the planet. Current research has linked GMOs to allergic reactions, the creation of new allergies, gene mutation, antibiotic resistance, loss of nutrition and severe damage to the environment. Since there are such drastically opposing views on whether or not GMOs are safe, I tend to side with the precautionary principle when it comes to most chemicals or food manipulation, which means avoiding GMOs until they’re proven safe vs. eating them until they're proven unsafe. Another current pressing issue regarding GMOs in America is: why aren't foods containing GMOs labeled? GMO supporters think consumers don't have the right to know what's in their food, but why? If GMOs are so safe, why not proudly label your products as "Containing GMOs." If they're safe or not, they should be labeled because consumers have a right to know what they're buying. It's like organics. Love organics or hate them, either way, you have a choice, because organic food is labeled. Read up on the GMO debate, and keep reading to learn how to shop for Non-GMO foods. It’s estimated that 70% of all processed food at your supermarket contains GMOs, but because not all GMO foods are labeled, you’ll have a hard time sorting out GMO food from Non-GMO food. Your absolute best bet is to go organic. There are tons of awesome reasons why your family should go organic, but a major reason is that organics easily allow you to avoid GMOs. Currently, USDA certified organic foods are not allowed to contain any GMOs — they’re officially excluded on the National List of Allowed and Prohibited Substances, a list that shows which substances are, and are not allowed in organic products. 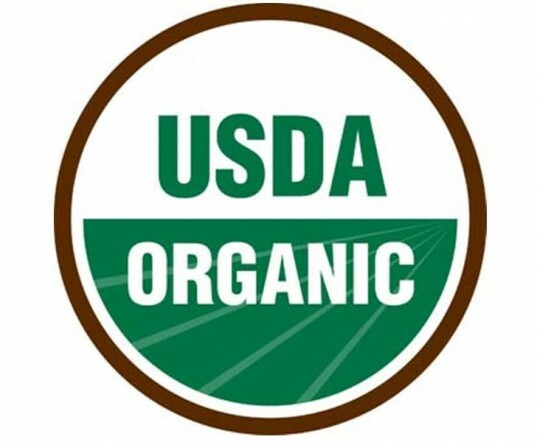 Look for the USDA Organic Seal (shown above) to be sure you’re getting fully certified, organic and Non-GMO products. Note that sometimes the USDA Organic Seal will be black and white vs. green, but the labels mean the same thing. America tends to lag behind when it comes to looking out for consumer health and knowledge, and our utter lack of concern for labeling GMOs is no different. Already the European Union, Japan, China, Korea, Australia, New Zealand and many other nations require mandatory GMO labeling. Not the USA, however. 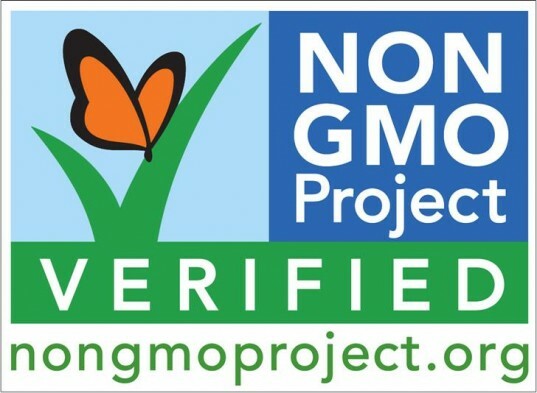 The only real official anti-GMO label here in America, besides the USDA Organic Seal, is the Non-GMO Project Verified Seal (shown above) a project of The Non-GMO Project. When placed on food, this label means the product has gone through a verification process called the Non-GMO Project Standard. This seal shows that the product you’re buying has been produced using rigorous best practices for GMO avoidance. The label is easy to spot and can be found on all sorts of products from sugar to cereal to body care products and much more. Check out a full list of verified Non-GMO Project products or look for the label at your local grocery store. Though most people think corn is the most GMO contaminated crop in the USA, it’s actually soy. Green America and the U.S. Department of Agriculture (USDA) notes that 88% of all corn crops in the USA are genetically modified but soybean crops are worse. A whopping 94% of US soybean crops were genetically modified in 2011, according to the USDA. Soy is an especially pressing issue for vegetarians and vegans. 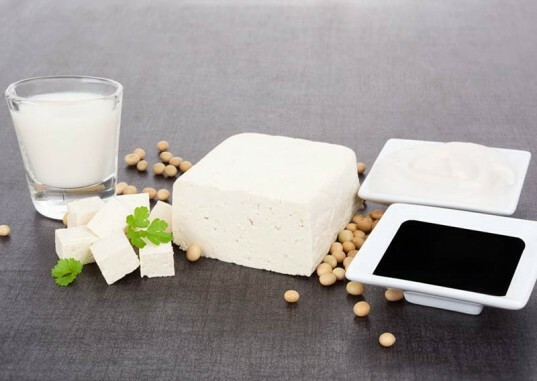 From tofu to soy milk to miso to tempeh to soy sauce and many other products, it’s hard to avoid soy. Another ingredient to watch for is emulsifier lecithin which is added to ice cream, candy and other products and is often derived from conventional soybean oil. Luckily, soy is found in fewer products than say, corn, as long as you make sure to buy certified organic soy products, such as organic soy milk, organic tofu, and organic soy yogurt, you can really limit your GMO exposure with regard to soybeans. Cottonseed: Cotton fibers are obviously used for fabric but it’s also sold in oil form which is then used in in some margarine, salad dressings, potato chips and other fried snacks. Canola oil: Instead of using canola oil, try a store-brand certified organic olive oil, which won’t cost much more than conventional. 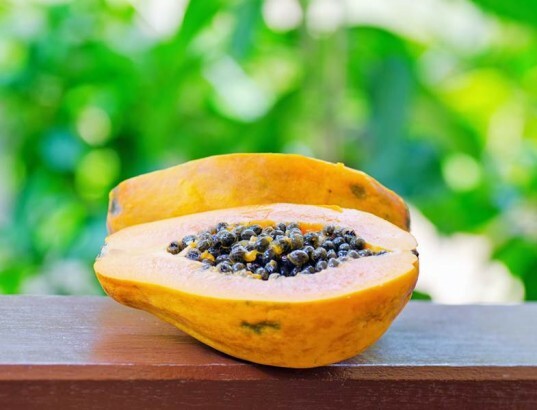 Papaya: Oddly, a lot USA papaya crops are genetically modified – as much as 80%. This is an easy fix though, just buy organic papayas. Alfalfa: You can avoid this by trying to buy organic dairy and 100% grass fed meat. Sugar beets: Half of all sugar in the USA is made with GMO sugar beets. The best way to avoid GMO-sugar is to buy organic, or you can look for sugar products that say “pure cane sugar” on the label. Milk: Recombinant bovine growth hormone (rBGH) is a GM synthetic hormone injected into some dairy cows. Use of this has gone down though, and it’s easy to avoid because lots of dairy companies are producing rBGH-free products now (look for rBGH-free on your dairy labels). You can also exclusively buy organic dairy products to avoid GMO dairy entirely. As noted above, 88% of corn is genetically modified, but that’s not the real issue with GM corn. The big problem is that corn and byproducts of corn are found in hundreds of products you buy all the time. 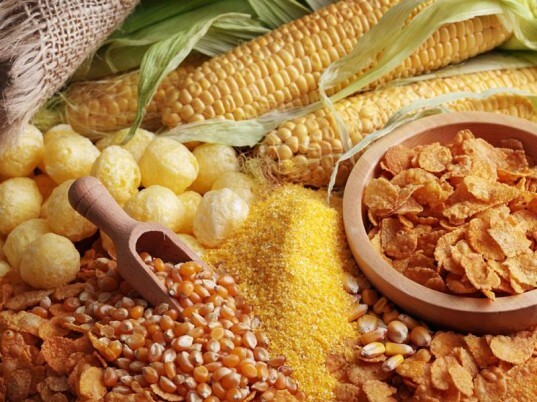 Common corn-containing foods include soda, cereal, tortillas, chips, mayonnaise, shortening, processed cookies and other snacks, yogurt, soup, fruit drinks, condiments, anything sweetened with high-fructose corn syrup and so much more that it makes your brain spin. It’s almost impossible to avoid GE corn unless you buy 100% organic, almost all the time. If you can’t buy organic all the time, your next best bet is to avoid processed, packaged and advertised food products as much as possible. Oddly, it’s more likely that your potato chips and granola bars contain more GMOs than a simple ear of corn on the cob. As noted above in the GMO corn section, avoiding junk food is one excellent way to avoid GMOs. Avoiding fast food, take out meals and too many chain restaurants is another smart way to avoid excess GMO food. Most of the time you should plan healthy homemade, non-processed meals full of whole food items. Additionally, consider buying local more often. Going local doesn’t guarantee GMO-free, but when you shop at a local Farmers’ Market or small farm, you can get to know your grower and the grower’s methods. Ask these growers outright about their policies on GMOs. See more GMO resources in the links below. It’s estimated that 70% of all processed food at your supermarket contains GMOs, but because not all GMO foods are labeled, you'll have a hard time sorting out GMO food from Non-GMO food. Your absolute best bet is to go organic. There are tons of awesome reasons why your family should go organic, but a major reason is that organics easily allow you to avoid GMOs. Currently, USDA certified organic foods are not allowed to contain any GMOs -- they're officially excluded on the National List of Allowed and Prohibited Substances, a list that shows which substances are, and are not allowed in organic products. Look for the USDA Organic Seal (shown above) to be sure you're getting fully certified, organic and Non-GMO products. Note that sometimes the USDA Organic Seal will be black and white vs. green, but the labels mean the same thing. America tends to lag behind when it comes to looking out for consumer health and knowledge, and our utter lack of concern for labeling GMOs is no different. Already the European Union, Japan, China, Korea, Australia, New Zealand and many other nations require mandatory GMO labeling. Not the USA, however. The only real official anti-GMO label here in America, besides the USDA Organic Seal, is the Non-GMO Project Verified Seal (shown above) a project of The Non-GMO Project. When placed on food, this label means the product has gone through a verification process called the Non-GMO Project Standard. This seal shows that the product you're buying has been produced using rigorous best practices for GMO avoidance. The label is easy to spot and can be found on all sorts of products from sugar to cereal to body care products and much more. Check out a full list of verified Non-GMO Project products or look for the label at your local grocery store. Though most people think corn is the most GMO contaminated crop in the USA, it's actually soy. Green America and the U.S. Department of Agriculture (USDA) notes that 88% of all corn crops in the USA are genetically modified but soybean crops are worse. A whopping 94% of US soybean crops were genetically modified in 2011, according to the USDA. Soy is an especially pressing issue for vegetarians and vegans. From tofu to soy milk to miso to tempeh to soy sauce and many other products, it's hard to avoid soy. Another ingredient to watch for is emulsifier lecithin which is added to ice cream, candy and other products and is often derived from conventional soybean oil. Luckily, soy is found in fewer products then say, corn, so as long as you make sure to buy certified organic soy products, such as organic soy milk, organic tofu, and organic soy yogurt, you can really limit your GMO exposure with regard to soybeans. As noted above, 88% pf corn is genetically modified, but that's not the real issue with GM corn. The big problem is that corn and by-products of corn are found in hundreds of products you buy all the time. Common corn-containing foods include soda, cereal, tortillas, chips, mayonnaise, shortening, processed cookies and other snacks, yogurt, soup, fruit drinks, condiments, anything sweetened with high-fructose corn syrup and so much more that it makes your brain spin. It's almost impossible to avoid GE corn unless you buy 100% organic, almost all the time. If you can't buy organic all the time, your next best bet is to avoid processed, packaged and advertised food products as much as possible. Oddly, it's more likely that your potato chips and granola bars contain more GMOs than a simple ear of corn on the cob. As noted above in the GMO corn section, avoiding junk food is one excellent way to avoid GMOs. Avoiding fast food, take out meals and too many chain restaurants is another smart way to avoid excess GMO food. 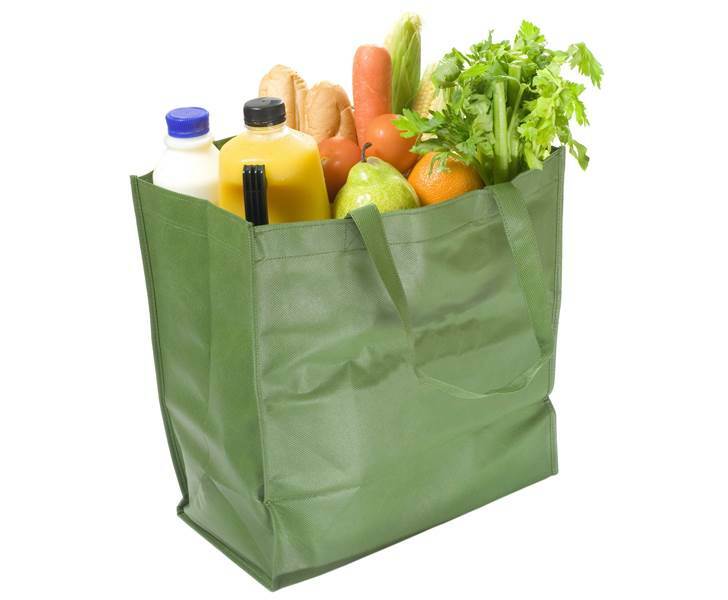 Most of the time you should plan healthy homemade, non-processed meals full of whole food items. Additionally, consider buying local more often. 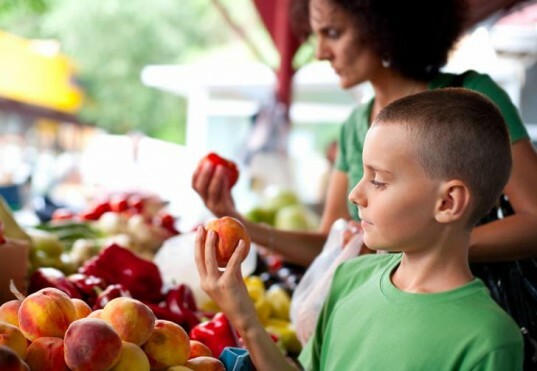 Going local doesn't guarantee GMO-free, but when you shop at a local Farmers' Market or small farm, you can get to know your grower and the grower's methods. Ask these growers outright about their policies on GMOs. See more GMO resources in the links below.